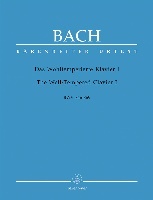 The Bach-Gesellschaft edition, the original complete collection of Bach?s works, was in 46 volumes published in Leipzig between 1851 and 1899. 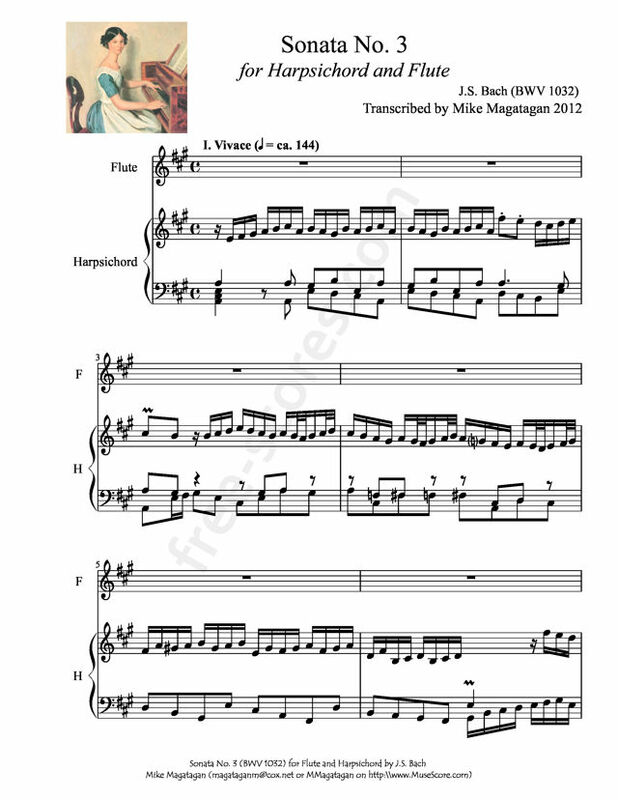 It included 3 Sonatas for Flute and Keyboard (i.e., an actual keyboard part - BWV 1030 in B Minor, BWV 1031 in A Major and BWV 1032 in Eb Major) and a Sonata for Violin and Keyboard (BWV 1020 in G Minor) as well as 3 Sonatas for Flute and Continuo (i.e., a figured bass part - BWV 1033 in C Major, BWV 1034 in E Minor and BWV 1035 in E Major). The Sonata in A Minor BWV 1013 (for unaccompanied Flute) was discovered in 1917 by Karl Straub. 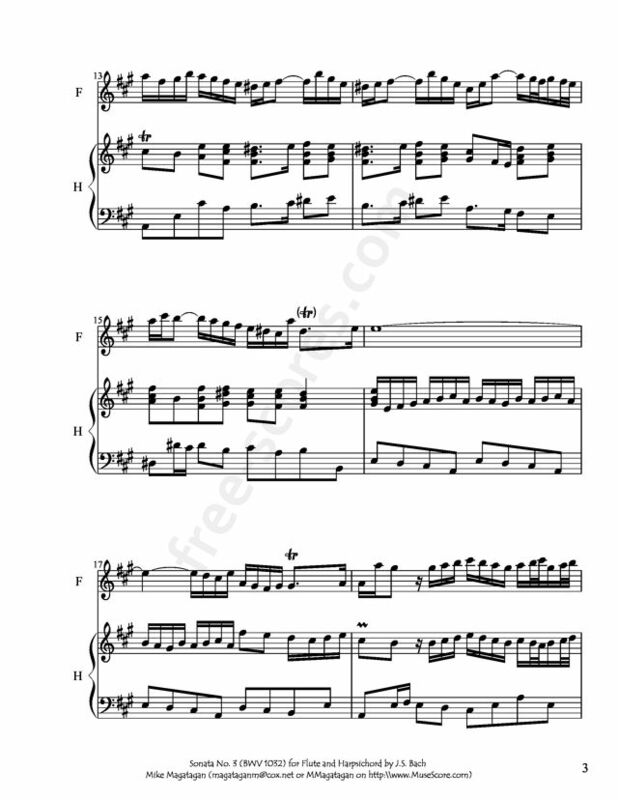 In this sonata # 3, the keyboard is no mere continuo instrument filling chords in a purely accompanimental role; it's a full partner, with the right and left hands providing melodic lines of their own. This is the only Bach flute sonata to survive into the twentieth century in a manuscript by Bach himself (the autographed score, however, was destroyed during World War II). 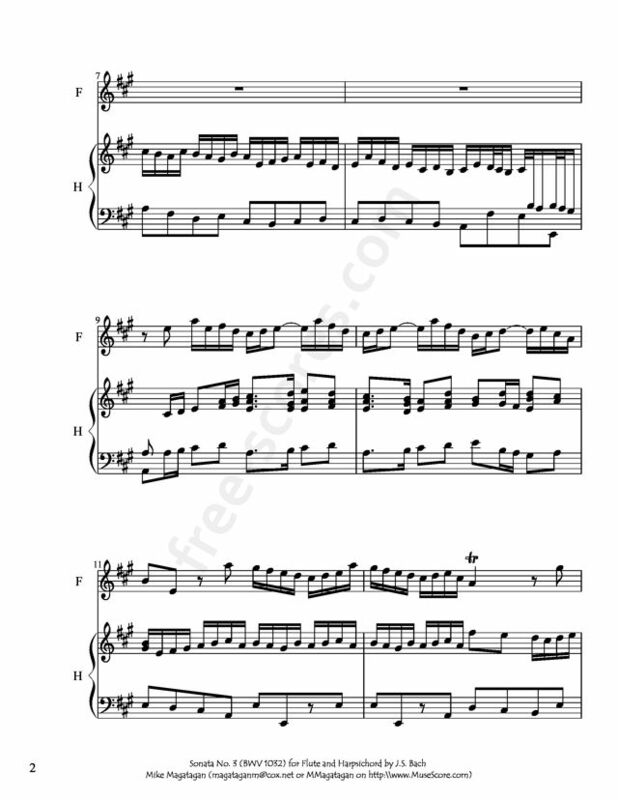 Unfortunately, 46 bars of the first movement were at some point scissored out, and modern editions fill this gap with new material derived from the movement's first half. 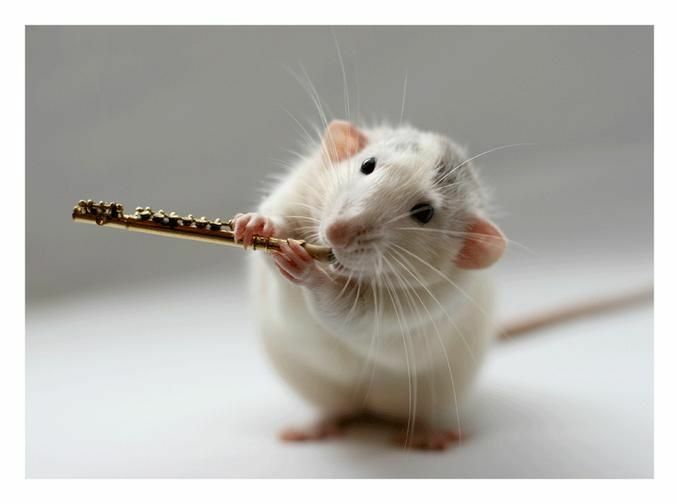 The work falls into three movements, like a Vivaldi concerto, rather than the four-movement church sonata structure Bach employed in several other flute sonatas. 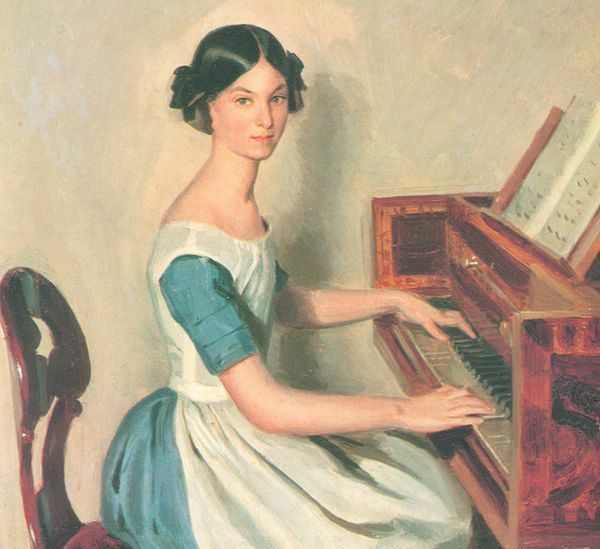 The first movement, Vivace, begins with a full harpsichord introduction, music that will return through the movement, sometimes abbreviated, in ritornello fashion. The flute arrives with its own take on this material, and the flute and harpsichord proceed to work through this and related, bouncy music in full three-voice writing (although the left-hand harpsichord part is comparatively rudimentary). The slow movement, Largo e dolce, is a poignant flute aria with the harpsichord sometimes providing restless counter material, sometimes echoing the flute melody and at one point reducing its role to a long trill. The concluding Allegro proceeds along lines similar to the first movement, but with a steady forward melodic drive replacing the earlier movement's more rhythmic propulsion. The score for Sonata No. 3 in A Major (BWV 1032) was on the same manuscript as Concerto for Two Harpsichords in C Minor (BWV 1062), using the blank lines at the bottom of that score. As (Unfortunately) 45 measures were cut (and lost) from the 1st Movement Vivace - only the first 62 and last 2 measures survived! There are several modern ?reconstructions? available however, this transcription uses the Ubaldo Di Gregprio reconstruction and is noted in red. This is my transcription of the 3 movements from the 3rd Sonata in A Major (BWV 1032).